Antica Marina Nicotera Marina, Hotel Italy. Limited Time Offer! Hotel Ristorante Antica Marina. "Hotel Ristorante Antica Marina" has 4 stars. 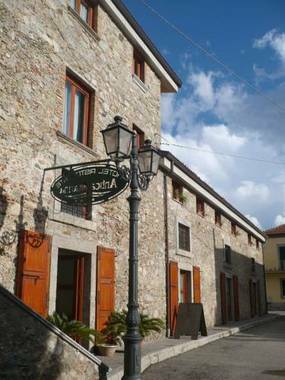 This residence is a perfect base point from which to discover Nicotera Marina. Sea lovers will appreciate the option to spend some time at the sea side not far from "Hotel Ristorante Antica Marina". The building has benefited from a recent renovation. This residence has a total capacity of 18 bedrooms. Inside, you will always find a pleasant temperature thanks to the relieving air conditioning. The residence offers a view of the sea. Small children can play safely in the private patio. You can take a swim since this hotel features a pool. Visitors are offered the option of taking part in fishing. There are also many sports offered, such as sailing, waterskiing, volleyball, table tennis, tennis, golf, horse riding and aerobics. Furthermore, there is a gym, boats, a walking trail, a running track, canoes and motorboats as well as a bicycle rental service. The hotel includes a restaurant to serve you dinner as well as breakfast, which is included in your stay. For a drink before or after dinner, you will find the lounge bar most welcoming. Business travelers will appreciate the free Internet access. Antica Marina is located just 200 metres from the beach in the town of Nicotera Marina in Calabria. 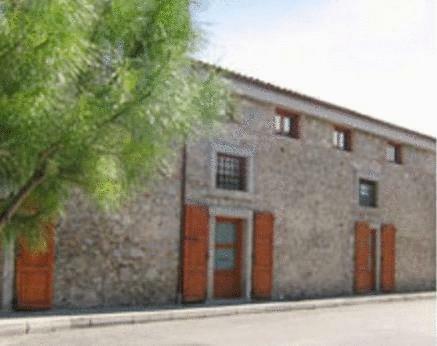 It offers air-conditioned rooms and a communal terrace overlooking the historic centre. All rooms feature a TV and a private bathroom.